Yoga is a science to control the mind, as mind is the only source to free us or to bind us. The literal meaning of the word yoga is union. So union of a jeev with God is yoga. Lajja (लज्जा) – Inhibition in performing any action, which does not lead towards God. 3. 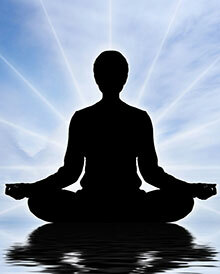 Aasan (आसन ) – some exercises to keep body healthy in order to increase ability of mind to meditate for longer hours. 4. Pratyahaar (प्रत्याहार ) – practice of withdrawing the senses from material matters to help the mind to meditate. 7. Dharana (धारणा) – stability in meditation. 8. Samadhi (समाधि) – Deep meditation, wherein the practitioner gets totally engrossed in divine thoughts being oblivious to the external world or even their own physical presence. 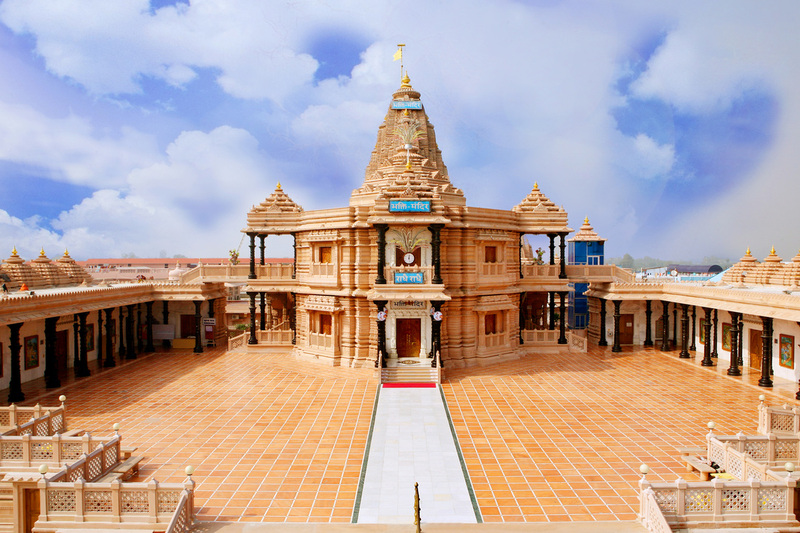 Asampragyat (असंप्रज्ञात) Samadhi - While in Asampragyat Samadhi all the seeds of past impression burn eternally. The ultimate goal of aspirants of Yoga is not to become one with God to attain salvation. They worship Maha Vishnu and attain the divine bliss and divine abode Baikunth of Maha Vishnu. Sagarbha (सगर्भ) Dhyan – They meditate upon the divine form of Maha Vishnu in mind. Yogis of sagarbh and nigarbha both are of 3 kinds. Thus altogether there are six types of yogis. Yogarurukchhu (योगारुरुक्षु) - Who are practicing yoga to attain perfection. Sagarbh or nirgarbh Dhyan culminates into Sagarbh or nirgarbh prapta – siddhi – These are those who realize God and have become eternally free from Maya. merely a science to keep body healthy in a natural way without medicines. a way to maintain attractive lean body. Whereas, the practice of Yoga starts from the Yama and Niyam. A precursor to stepping on the path of yoga is to control the mind and senses. This is a spiritual science to attain a spiritual result which is to become free from Maya and realize the Brahma - Supreme God. It is not confined to the Asana (postures) only. The first five steps are meant to prepare the body and mind for the practice of yoga, which comprises of control on mind and senses to detach mind from the allurements of this mundane world. Last three i.e. Dhyan. Dharana, Samadhi are purely related to the practice of realization of God. There is no point of practicing yoga without following all the eight steps of Yog-Shastra. Several people go all out in their practice of yoga but to no avail due to lack of proper knowledge of this spiritual science. All this is due to the lack of proper teacher of Yoga.